The town of Woking is a beautiful place to relocate to, whether you’re moving for your work, family or just for a change. Woking has a vast and exciting history, including being the site of Woking Palace, the setting and place where H.G. Wells penned his famous novel War of the Worlds, and one of the locations that was first included in the London and Southampton Trains Network in 1838. It’s also where you can find great houses at reasonable prices, a wide and exciting selection of shops and efficient commuting connections. We’ve compiled the best parts of Woking into this handy guide to help you buy or rent a house and move to this wonderful town in Surrey. Moving to a new house is a big decision, so you want to know that you’re getting the best deal and the best prices for the house you’re moving into. Whether you’re a first-time buyer, moving out of London, or moving to Woking to commute, you need to be sure that you can find a place that fits your needs. According to Foxtons estate agents, the average house prices in Woking range from £185,000 – £1,699,950 depending on the number of rooms and the area you’re moving to. 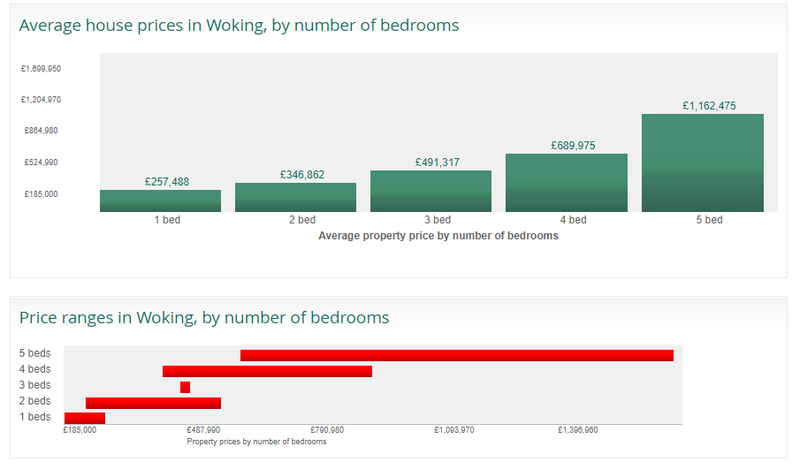 The average price of a flat in Woking to buy is £320,990 and the average price of a house is £641,533. * Taken from Foxtons Woking House Prices. If buying a house straight off is a little out of your price range, maybe renting could be more up your street. With an average rental value of £326 per week, so £1304 per month, this is a great place to start working your way up the rental property ladder. There are a number of good areas to rent in Woking, including Horsell, St. Johns, Knaphill and Bisley. Horsell is especially appropriate for commuters as it is the closest to the centre of Woking and only a short walk to the station for a commute up to London. * Taken from Foxtons Woking Rental Prices. There is also the option of moving into a flat instead of a house, and there are a number of high rise buildings in Woking that could perfectly accommodate a single renter or a working couple. 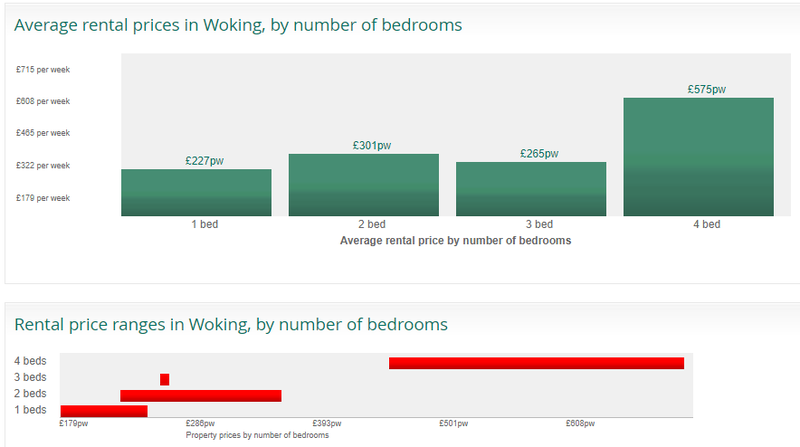 The average renting prices are very similar to the prices above in the table. If you’re thinking about making the move to Woking, here are a number of estate agents that are considered reputable and can help you find your perfect home: Seymours, Foundations, Wingate & Withers, Hockerings and Waterfalls. Woking is a very well connected town just outside the M25 ring road but with great access to major roads such as the A3, M3 and of course the M25 just a few minutes drive away. Woking is considered one of the top commuter towns for people working in London, with a journey time from Woking Station to Waterloo coming in at just under half an hour. This quick and easy journey means that less of your day can be spent travelling to and from the big city, while more can be used to explore and enjoy everything that Woking has to offer. Guildford is a short 20 minute drive from Woking and easily commutable. Bracknell is around 30 minutes drive away. The rail routes aren’t as simple to negotiate to these places, but there are bus routes that go between the towns. Woking is a busy commercial town, with a rapidly expanding artistic and cultural life centred on the new museum and gallery, The Lightbox, designed by the creators of the London Eye. You can also satisfy your theatrical appreciation with the fantastic New Victoria Theatre, which showcases a number of musicals and plays, so you’re sure to find something to enjoy. Woking is also the location of two great shopping destinations within the Woking Shopping centre, the collective name for the Peacocks and Wolsey Place shopping centres. With over 100 individual shops for you to pick and choose from during your shopping trip, and a great selection of restaurants and cafés for when you’re tired and hungry after shopping, it’s a great day out and a perfect destination for all your retail therapy needs. Finally, for the adrenaline-lovers, your life in Woking will be enlivened by Mercedes-Benz World – a tourist attraction for petrol heads that want to race around the historic Brooklands race course – and the McLaren Group, known for their Formula One fame, headquarters. 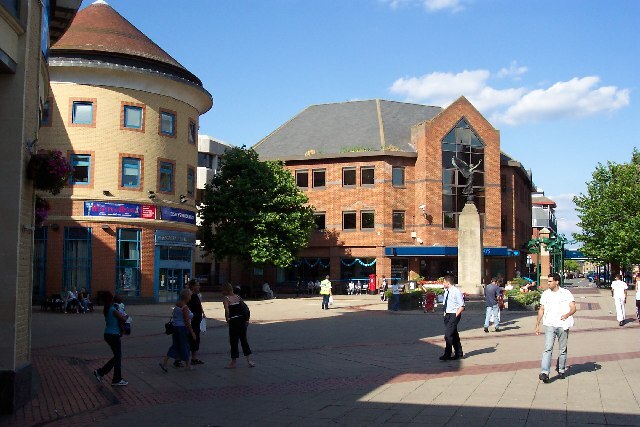 Woking is a fantastic place to settle down and live and, at Titan Storage, we’d love to help you achieve that. If you need help storing furniture or moving boxes that have arrived too soon, or things that need to be stored while you tackle the big jobs in your new home, don’t hesitate to check out our website and see how we can help.